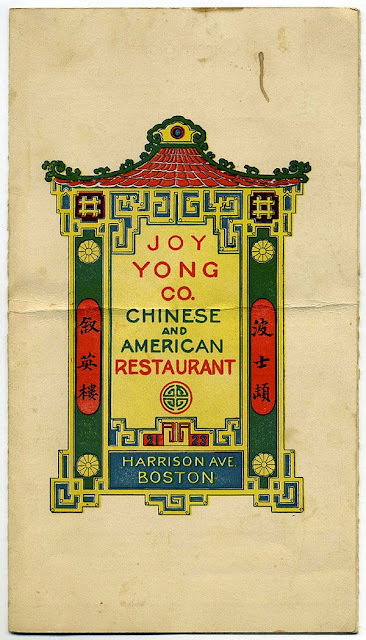 A Vintage Menu Cover from Joy Yong Restaurant in Boston. Lovin' these graphics and colors! Gimme a chair with hair, Long beautiful hair - Shining, gleaming,Streaming, flaxen, waxen. Note: I have decided to resurrect this blog post since, VERY SAD to say I recently found out that in February of 2009 a bushfire raged through the township destroying much in its path including much of this beautiful garden. I love secret gardens! Although this one may not be so secret anymore, it is filled with all the magic and enchantment you would expect to find in such a lush green hideaway. Hidden among the trees of the small Victorian village of Marysville in Australia, it is a world full of fantasy, beauty and whimsy. It's creator, Bruno Torf has lovingly sculpted, gardened and built one of the world's most unique and deeply inspiring experiences for art and garden lovers of all ages. The luscious sub-alpine forests of the surrounding area made an ideal setting for Bruno's plan and luckily the property he purchased had a large section of rain forest attached. Bruno's Art & Sculpture Garden began with just fifteen life sizes terracotta sculptures, and today boasts over one hundred and fifteen pieces on display, with Bruno continually adding new pieces. A gallery that houses over 200 of his creations brought over from Europe includes oil paintings, sketches and smaller sculptures. The unique experience of the garden and its wondrous inhabitants attracts thousands of visitors a year. I would love to visit this place, wouldn't you? It's JUST COOL! Flemish Flowers at my Etsy Shop! This is a Sponsored Post written by me on behalf of Heineken. All opinions are 100% mine. What a smart app! For the iPhone that is. I'm all about apps and what the latest releases are for the iPhone and when I learned about the Know The Signs “Breathalyzer” app for iPhone, I just had to check it out. Because, obviously, it's a life saver ! I myself don't drink very often but I know some major party animals that seriously need this app to be a required app on their iPhones! 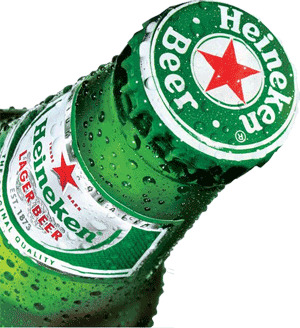 This year, Heineken created the "Breathalyzer"iPhone app, after last year’s successful campaign -Enjoy Heineken Responsibly. The Know The Signs “Breathalyzer” turns your iPhone into a realistic breathalyzer with an intelligent and humorous way of reminding you or your drinking buddy that you've had a little too much to drink. Just by blowing into your iPhone “Breathalyzer” the app shows which character you are turning into, reminding you to know the signs. Everyone knows these embarassing characters that rear their ugly heads from too much drinking or a night on the town - The Crier, The Fighter, The Sleeper, The Exhibitionist, The Groper , The Flirt and The Stumbler. The Breathalyzer is a fun way and a fun app that gets you to drink responsibly, one of Heineken's well know slogans. And guess what? Their app is free! Download the Heineken Breathalyzer iPhone app at the itunes store - YES, for free or check out more info about it at The Heineken Know The Signs website . We've all scratched and sniffed.. I'm talking about product samples found in magazines and sometimes even found on the products themselves. A great idea in marketing to preview the products before we buy. But what an even better idea to put flavor strips on the product's sheves so that we could actually TASTE the products first. WILLY WONKA would be proud. When Adnan Aziz saw people licking orange-flavoured wallpaper in the film “Willy Wonka and the Chocolate Factory”, it gave him the idea for a novel form of advertising. Together with Jay Minkoff, an entrepreneur, he set up First Flavor, a firm that makes edible films that allow consumers to sample the flavours of foods, drinks and other products. The Campbell Soup Company was faced with the challenge of marketing V8's V-Fusion® juice brands. With V8's image as a producer of vegetable juice engrained into the minds of the general public, V8 needed to find a way to raise awareness about its new and great tasting fruit and vegetable juice products among consumers. The company turned to First Flavor to create a V8® V-Fusion® Pomegranate Blueberry Peel ‘n Taste® strip to be used in conjunction with point-of-sale coupons . Teaming with News America Marketing (NAM) and First Flavor, V8 launched an in-store promotion in 300 Kroger retail supermarket stores across the southeastern United States during the months of March and April, 2008. The unique marketing endeavor featured custom branded NAM's Shelftake OneTM coupon dispensers with flyers affixed with V-Fusion® Pomegranate Blueberry Peel ‘n Taste® flavor strips. Ravensword has been nominated for best app ever! If you haven't heard me raving about Ravensword before then here is a brief synopsis of this majorly JUST COOL rpg game for the iphone. Enter the world of Ravensword: The Fallen King; a massive, sandbox-style adventure for the iPhone and iPod touch. Combining 3D action with RPG elements, Ravensword features rich and interactive environments that bring you a gaming experience unlike anything youve seen on the iPhone platform. Take on quests to earn money and experience. Wield powerful weapons and magical runes. Battle fearsome enemies such as Orcs, Trolls, Ogres and Demons. Test your skills with a variety of games and side quests. This is the first adventure in the Ravensword series. This is a Sponsored Post written by me on behalf of 123 Media Max. All opinions are 100% mine. If you are like me and an avid movie watcher then probably by now you are starting to switch your dvd collections to blu ray instead of the standard hd dvd format. Technically, what exactly is the difference? I was wondering that too.While current optical disc technologies such as DVD, DVD±R, DVD±RW, and DVD-RAM rely on a red laser to read and write data, this new format uses a blue-violet laser instead, hence the name Blu-ray. Despite the different type of lasers used, Blu-ray products can easily be made backwards compatible with CDs and DVDs through the use of a BD/DVD/CD compatible optical pickup unit. The benefit of using a blue-violet laser (405nm) is that it has a shorter wavelength than a red laser (650nm), which makes it possible to focus the laser spot with even greater precision. This allows data to be packed more tightly and stored in less space, so it's possible to fit more data on the disc even though it's the same size as a CD/DVD. This together with the change of numerical aperture to 0.85 is what enables Blu-ray Discs to hold 25GB/50GB. Recent development by Pioneer has pushed the storage capacity to 500GB on a single disc by using 20 layers.The format offers more than five times the storage capacity of traditional DVDs and can hold up to 25GB on a single-layer disc and 50GB on a dual-layer disc. This extra capacity combined with the use of advanced video and audio codecs offers an unprecedented HD experience. So now you'll never have to worry about losing your valuable Blu ray and DVD movie collections because you can have perfect backups playable on Blu-Ray and DVD players or Sony PS3 courtesy of 123CopyDVD. 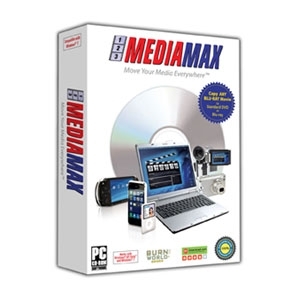 Visit www.123mediamax.com for more details on this JUST COOL software! Awww shucks - of course this neat item would be sold out but I have to show it to my readers anyway because what a JUST COOL concept! Fantastic for a small space and something to drool over for you midcentury modern collectors, Avant Garde was designed by Helen von Boch in the early 1970s. Basically a set of stacking tableware for four persons that becomes a centerpiece for the dining room, forming a ball in different colors (brown, white, red brown) when not in use. 19 pieces in total, including plates, side dishes and bowls in different sizes and they are marked underneath each piece "Villeroy & Boch, avant garde, made in Germany".Unfortunately sold out at furniture love. Waaaaaaaaaaaaaaaaaaaaa. This is a Sponsored Post written by me on behalf of LG Chocolate Touch. All opinions are 100% mine. I've always been a fan of devices that have multi functions. They just make life simpler! 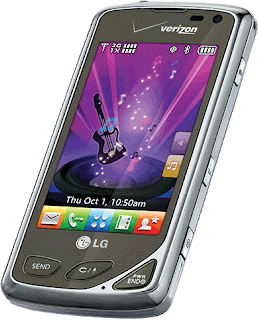 So imagine having a cell phone that allows you to make calls, send texts, use the internet, use Social Media, take pictures or video, AND one that also has a music player with Dolby Mobile technology for crystal-clear sound quality? Well you don't have to dream about it any longer. Thanks to LG and it's new LG Chocolate Touch that does all those things and more. This little phone packs a whole lot of features into it that will put your present phone to shame - starting with Dolby Mobile technology featuring high frequency enhancer, natural bass, mobile sound and a customizable equalizer making listening to music almost as good as hearing it live! Plus it has great visual effects and features too, including Rhythmical Beat that vibrates the handset to the beat of the music, a one-touch Social Network Message Key for easy use of Mobile Blogging on popular social media websites like Facebook, MySpace, Twitter, etc.. And did I mention it's Mobile Media with top-notch text, picture, video, and voice messaging, including Visual Voicemail, and a sweet 3.2MP Camera/Recorder for quality pictures and videos, with an image editor that makes taking pictures and shooting videos a piece of cake? Hey, it's got some better features then my iPhone! I want one! So go ahead and check this phone out - it's JUST COOL! Even though Christmas is officially over, I'm still in the Christmas Spirit, are you? And getting ready to celebrate the New Year at the end of the week, too! So what's more apropos then this clever Christmas Tree created by the Heineken Beer Company? This gargantuan green glass (and all these bottles are full too!) Christmas Tree stands at the front of the Nanjing road mall in Shanghai. Heineken has always been clever with its beer bottles; Warren has written how in the sixties they considered redesigning them to work as bricks. Now in China, they are using them to build Christmas trees - right now these bottles are full - yet soon to be recycled (I wonder how this tree will be looking at midnight on New Years Eve?!) How JUST COOL! movies :: you as the director! This is a Sponsored Post written by me on behalf of Moviestorm. All opinions are 100% mine. Have you ever wanted to make your own movie but were intimidated by all that it entails? Well now movie making couldn't be easier because there's a website that lets you make your own movies.Moviestorm is a fun and easy way to make movies from short clips, music videos and personal video greetings to full-length epics! It requires no movie making expertise at all, nor animation experience and the basic set up is free. There are some charges if you wish to add extra characters, props or other animations but if you pay for a subscription plan, the fees are a lot cheaper. And if you still feel intimidated and want to make it even simpler there's Photostorm which allows you to put your photos into a movie. Moviestorm has a lot to offer its customers. Have an idea in your head and want to put it onto the screen? Start by building your set from a library of ready-to-use stock sets, including interiors, exteriors, even spaceships. You can add props and save your sets to put in other videos too. Then create your characters from Moviestorms vast library. You can even morph them to customize their look. Then bring it all together and direct the action. You can have your characters interact and speak - theres even lip synching! Last, it's time to film the movie and Moviestorm makes it easy with its powerful camera tools to create a cinematic look. You can edit your movie with sound effects, titles and credits, soundtracks and more. All in all, its really quite simple. So check it out - and see how easy movie making can be. Got a light? Now you do and it's in your pocket - or your purse, or your wallet. 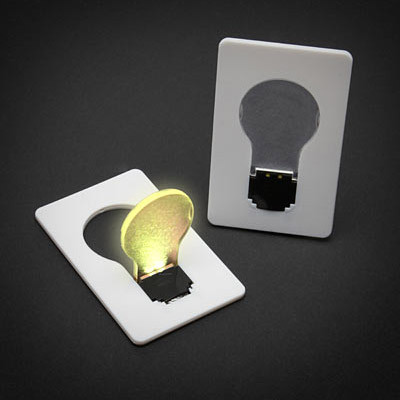 This neat credit card lightbulb fits in your pocket or wallet just like a credit card and comes in quite handy when you get caught in the dark.Just pull it out, bend out the light bulb shape cut out and voila! 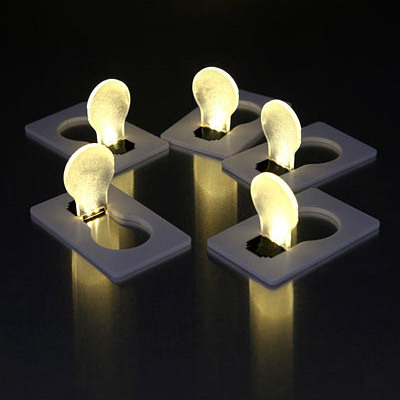 you have light! Buy it for a measley $4.99 over at the Green Head. Cuz it's JUST COOL of course! All the cool stuff in art, architecture, home, fashion, transportation,technology and more....always the weird and unusual... and sometimes a little idle rambling, written by Wendy Presseisen. Frame your posters and prints!